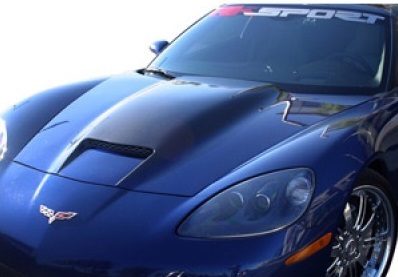 he RK Sport C6 Corvette Ram Air Hood w/ Carbon Fiber Blister is the perfect blend of aggressive style, carbon fiber accents and functional performance. 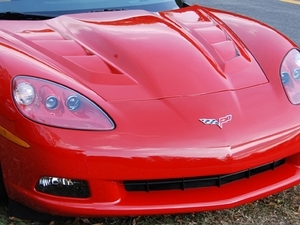 Starting from the original lines of the C6 Corvette hood, RK Sport added a distinctive raised center section. 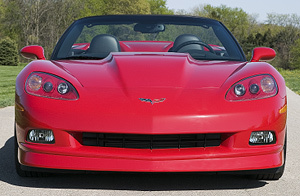 Carbon Fiber accents include the perfect touch around the raised center section of the hood. 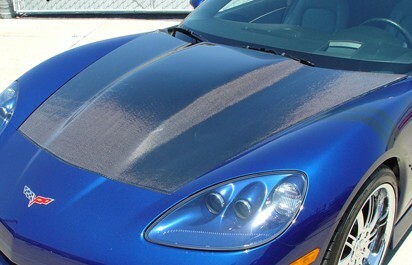 Note: Wiil not work with Magnesun supercharger installations. 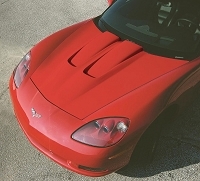 RK Sport fiberglass hoods are manufactured using the finest hand-laid fiberglass to provide superior strength and durability. Each hood is shipped gelcoat gray, ready for prep and paint. Detailed instructions provide a straight-forward installation that uses stock hardware for an easy fit and installation. This item ships via truck freight; freight charges will be incurred for this item separately from your other items. These charges will be added to your order after it is placed and will not be available at checkout due to variations in destination. You will be contacted with freight charges for approval prior to shipment.